Ghosts loom large in Late Company, at what might be one of the awkwardest, angriest dinner parties ever on stage. A year after his suicide, this dead 16 year old is larger than life in his absence, from the all consuming grief enveloping his parents, who are haunted by a mysterious thumping upstairs, to a bully's nightmares, and his parents' chagrin. Yesterday, my 14 year old daughter and I stood in the grocery checkout line where headlines blared "Woman goes on trial for allegedly urging boyfriend to kill himself". The current trial involves a then 17 year old girl who is being tried for involuntary manslaughter now, 3 years after her boyfriend killed himself. There is no precedent for rulings on encouraging suicide. I asked my daughter if the girl deserved jail time. This prompted a lively discussion where she argued that bullying and joking around are incredibly common in high school and if everyone who said something stupid and insensitive to someone was arrested, our jails would be overflowing with non violent teens. And who's to say the kid wouldn't have killed himself anyway. She pointed out the vast numbers of bullied kids who don't kill themselves and the kids who aren't bullied who do. As a mother of two high schoolers, I wholeheartedly disagreed. I was ready to throw the book at any kid evil or insensitive enough to influence a peer to kill himself, so people would think twice before being so cruel and pushing an already troubled kid over the edge. 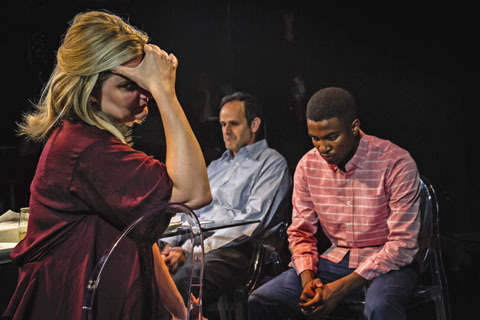 That night I saw Cor Theatre's Late Company and began to realize the complexity of the issues and all the intertwined lives surrounding each childhood suicide death, especially Late Company's show with the added LGBTQ element. Similar issues were at the forefront. How much culpability do bullies have after a suicide? Can grief be shared? Can blame? Can forgiveness? In Late Company, a suicidal gay boy, grappling with his sexuality, closeted to his parents, being treated for depression, kills himself after being harassed at school. Late Company also features a surprisingly sympathetic bully and his defensive parents as media victims. Cor Theatre does a stellar job of broaching this topic with energy and empathy. We recommend Late Company. It's a tough but timely topic and a great springboard for discussion. We also love the communal art project in the lobby that will be raffled off. The audience is invited to add a simple brush stroke to a blank canvas as a pledge of support for the LGBTQ Community. As Late Company opens, the table is set for an elegant dinner party. Enter, two devastated, grieving parents. Enter belatedly, a teen wracked with guilt and vilified by the media for his potential contribution to his classmate's demise, and his loving parents who are late because they were fighting over whether the dinner is a good idea. 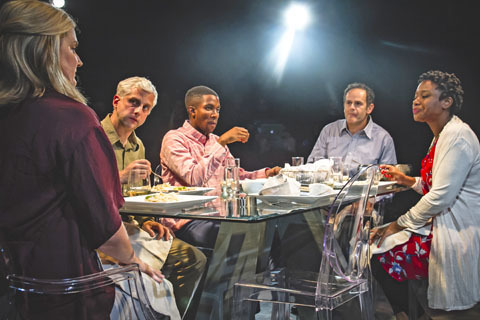 Everything's on the table, quite literally, in this thought provoking and too timely production. Both families' parenting styles are up for critique, mental health, grieving styles, the blame game, LGBTQ coming of age, and more. What starts as an effort to bring closure to a tragedy ends in vicious verbal attacks, raw emotion, and pain. Yet, through it all the audience has a stellar chance to leave with more empathy for the all too frequently lethal struggles of LGBTQ teens, the devastated parents who have lost children to suicide, and the stunned classmates whose hazing was meant to be funny not fatal. Ultimately there are some tender moments of healing and glimmers of future forgiveness down the road. Cor Theater's Chicago debut of Late Company runs through July 16, 2017 at the Pride Arts Center, in the Buena Theatre, 4147 N. Broadway St. in Chicago's Uptown neighborhood. 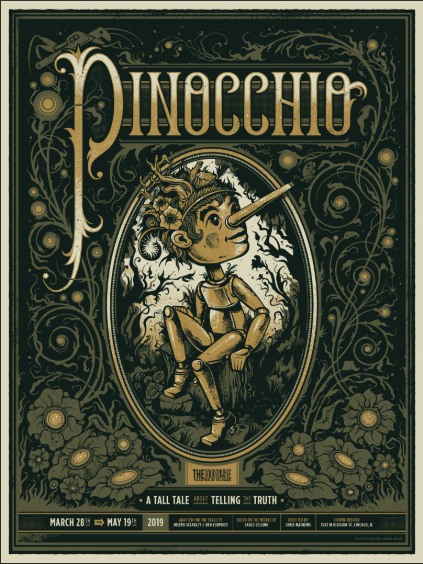 Tickets, $18-$30, are on sale now at cortheatre.org, or by calling (866) 811-4111. Performances continue through July 16: Wednesday through Saturday at 8 p.m., Sunday at 3 p.m. Exceptions: No Wednesday shows June 21 or July 5. The performance on Thursday, June 22 is sold out. No shows Saturday and Sunday, June 24 and 25 due to Pride Weekend. Get set for a scorching start to Chicago's summer theater season when Cor Theatre presents the Midwest premiere of Late Company, a shockingly funny, scathingly painful family drama set on Chicago's North Shore about LGBTQ youth and the scourge of teen suicide. Acclaimed director Jessica Fisch stages the first Chicago production of this vitally important new work by Canadian gay playwright, director and filmmaker Jordan Tannahill, called the future of Canadian theatre (NOW Magazine) and the hottest name in Canadian theatre (Montreal Gazette). 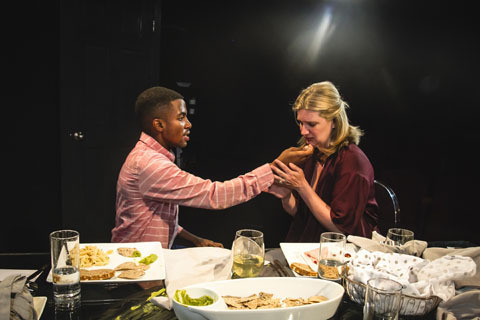 The raves continued for recent European premiere of Late Company at London's Finborough Theatre. Time Out London called Late Company a powerful new drama about the devastating aftershocks of cyber bullying. Superb. The Times hailed this dinner party from hell serves up the full gamut of emotions. A terrific play. Go! This one deserves a West End transfer. Like the controversial Netflix hit series 13 Reasons Why, Late Company takes no prisoners with its vivid portrayal of the aftershocks of teen suicide, but more from the parents' point of view. One year after a gay teen's suicide, two North Shore families sit down to dinner. Pleasant mealtime chatter quickly turns into fierce interrogation as each person at the table confesses their real or imagined part in the tragedy. As blame shifts, layers of parental, sexual, and political hypocrisy are revealed. Scathingly funny and heartbreakingly real, award winning Jordan Tannahill's Late Company asks, How well can a parent ever really know their child? According to Cor Artistic Director and cast member Tosha Fowler, Late Company is about wrestling with forgiveness. Two sets of parents are fighting desperately for closure from a suicide brought on by missed opportunities and misunderstandings on both sides. Nobody in the room is blameless –everyone is sparring like hell to find peace within themselves and each other. Jordan's writing is funny and searing. 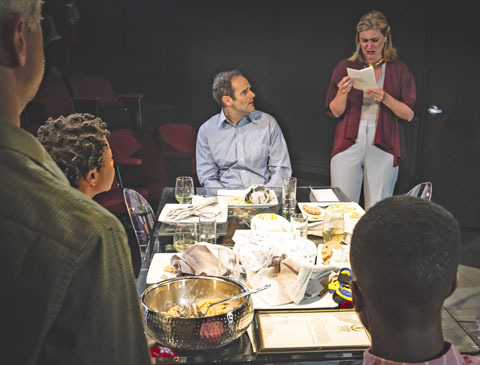 It has the kind of visceral energy that makes live theater unique, said director Jessica Fisch, adding, In light of our current political climate, a play about people coming to the table to talk over their grievances feels both novel and inspirational. I want to believe it's possible for people with drastically different points of view to find common ground and healing. Late Company challenges that belief and offers hope that it is possible. Cor's Chicago debut of Late Company features Tony Bozzuto (so memorable in Cor's Skin Tight and Christina, The Girl King), Matthew Elam (a Chicago newcomer and third year acting major at DePaul), Paul Fagen (recently seen in About Face's The Tempermentals) and Tosha Fowler (co-founder and artistic director of Cor, credits include What of The Night? and Love and Human Remains). New to the cast is Asia Jackson, most recently seen in Among All of This You Stand Like A Fine Brownstone at ETA Creative Arts Theatre.The production team is Cole von Glahn (assistant director), Adam Gutkin (set and props), Alarie Hammock (costumes), Jeffrey Levin (sound), Eric Vigo (lights), Topher Kielbasa (dramaturg), Stefin Steberl (production manager) and Michael Starcher (stage manager). Jordan Tannahill is a playwright, director, filmmaker and a leading figure in Canada's gay arts community. 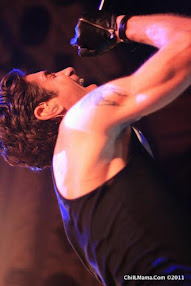 The TorontoGlobe and Mail recently hailed him as ...the poster child of a new generation of (theatre? film? dance?) artists for whom interdisciplinary is not a buzzword, but a way of life. His plays have been presented across Canada, his films have been widely exhibited at venues such as the Toronto International Film Festival, the Art Gallery of Ontario, and the British Film Institute, and he received the 2014 Governor General's Literary Award for Drama for his book Age of Minority: Three Solo Plays. In collaboration with William Ellis, Tannahill runs the alternative art-space Videofag in Toronto. Currently he is partnering with the National Theatre of London and the National Film Board Canada to create Draw Me Close, an immersive technology memoir in which audiences experience a live, illustrated world as five-year-old Jordan during his mother's battle with cancer. The first chapter premiered April 21-29, 2017 at the Tribeca Film Festival. jordantannahill.com. Jessica Fisch is a Chicago-based freelance director and professor. Chicago projects this season include directing the world premiere of Firebirds Take the Field for Rivendell Theatre Ensemble and associate directing Straight White Men by Young Jean Lee at Steppenwolf. Other credits include Trudy, Carolyn, Martha and Regina Travel to Outer Space (Actors Theatre of Louisville, Humana Festival), Fefu and Her Friends (Goodman Theatre/Rivendell Latina/o Celebration), Opulent Complex and That Thing That Time (Actors Theatre of Louisville, The Tens), Far Away (SITE Festival, Northwestern), 42 Stories (Raven Theatre, [Working Title] series) and Machinal and Spike Heels (Northwestern University). Selected New York credits are The Realm (The Wild Project), strive/seek/find (Abingdon Theatre), the 2009 PlaywrightsHorizons Stories on 5 Stories Benefit, Personal History (Ensemble Studio Theatre), The Redheaded Man (Barrow Street Theatre/Down Payment Productions/FringeNYC/ FringeEncores), and Dressed In Your Dreams (Public Theater/Emerging Writers Group), an adaptation of the cult 1960ૻs gothic vampire soap opera Dark Shadows (Williamstown Theatre Festival). Prior to moving to Chicago, Fisch lived in New York City where she was the Co-founder and Artistic Director of Down Payment Productions (DPP). She was also a resident director at Ensemble Studio Theater, the 2008-2009 Playwrights Horizons Directing Resident and a member of the Lincoln Center Directors Lab. She earned her MFA at Northwestern University. Cor Theatre (cortheater.org) debuted in September 2012 with a vision to create theatrical experiences that are rarely presented in Chicago by artists who seek to defy expectation. Today, Cor is one of Chicago's youngest and most ambitious professional theater companies with a growing board and strong experience behind it. 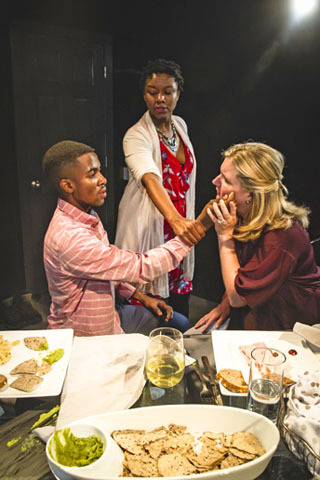 Cor's inaugural production, Skin Tight by Gary Henderson, was met with enthusiastic audiences, critical acclaim and made just enough money to establish a not-for-profit corporation. The company named itself Cor Theatre, deriving its name from the Latin root of courage – meaning heart. Cor returned in 2015 with Erin Courtney's A Map of Virtue, named a top show to see in the Chicago Tribune and Most Promising Debut by Time Out Chicago. Cor triumphed again in 2015 with the first Chicago staging in 20 years of Brad Frasier's Love and Human Remains, which played to numerous sold-out houses and was named one of the top plays to see by Windy City Times and New City. In March 2016, Cor presented the U.S. premiere of Christina, The Girl King by Michel Marc Bouchard, translated by Linda Gaboriau, telling the true story of the enigmatic, gender bending 17th century Queen of Sweden. Cor concluded its 2016 season in October with an epic production of Bertolt Brecht's The Good Person of Szechwan, translated by Tony Kushner, directed by ensemble member Ernie Nolan. Most recently, in January 2017, Cor gobsmacked Chicago audiences and critics alike with Carlos Murillo's daring staging of What of the Night? by María Irene Fornés. Current Cor company members are Tony Bozzuto, Chris Brickhouse, Elyse Cowles, Tosha Fowler, Adam Gutkin, Alarie Hammock, Topher Kielbasa, Jeffrey Levin, Claire Meyers, Ernie Nolan, Stefin Steberl and Eric Vigo. 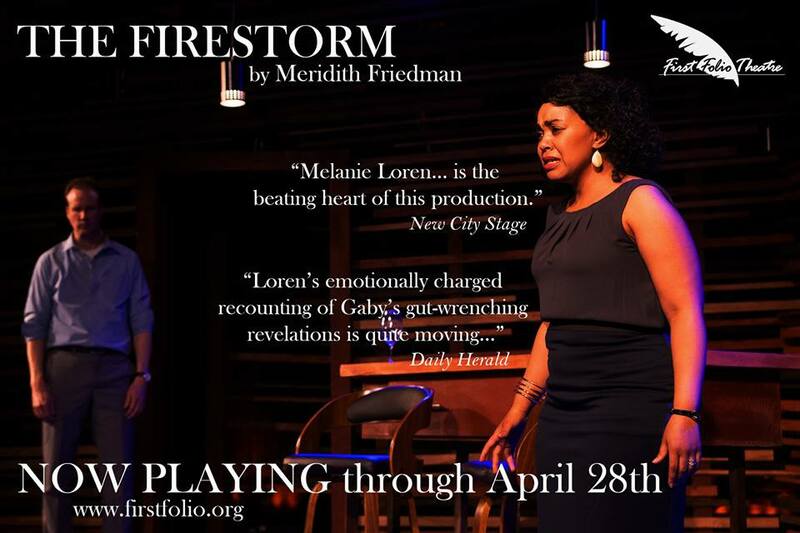 For more information, visit cortheater.org, like Cor Theatre on Facebook, follow the company on Twitter, @TheatreCor, or call (866) 811-4111.